Whether you’re flying solo or living with roommates or your spouse, cooking for one shouldn’t mean boxed spaghetti or eggs and toast. 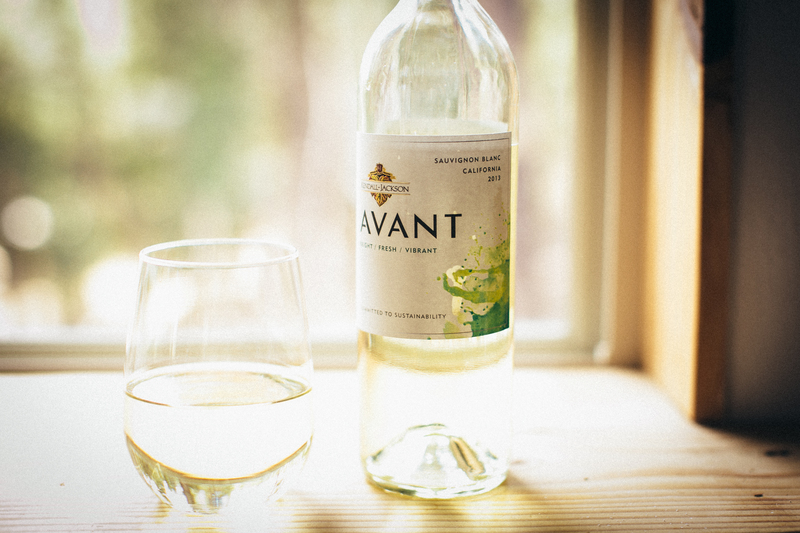 Spend ten extra minutes on this delicious seared scallops, shaved fennel and grapefruit recipe for a beautiful night to yourself or with friends and a glass of crisp K-J AVANT Sauvignon Blanc. Recipe can be doubled, tripled, and quadrupled to serve a crowd. Remove fennel tops and shave bulb into thin slices on a microplane grater. Set aside and sprinkle with salt. 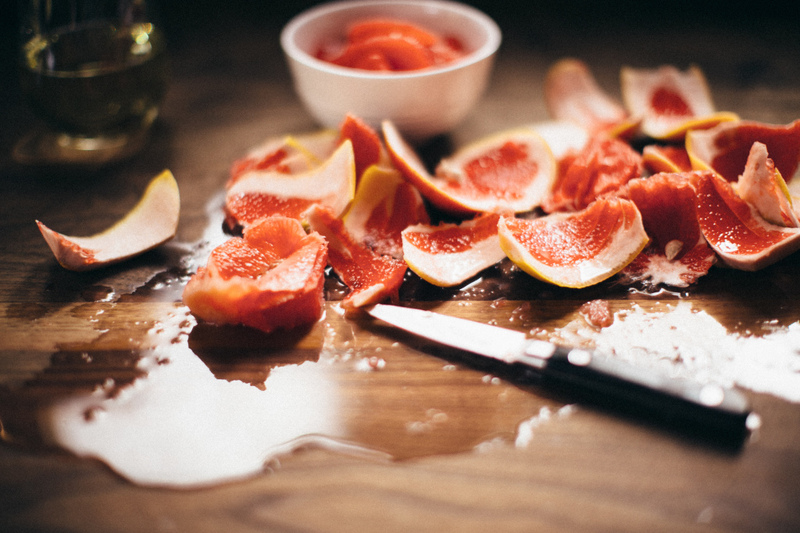 Segment the grapefruit by carefully removing the peel and pith of the fruit with a sharp paring knife. 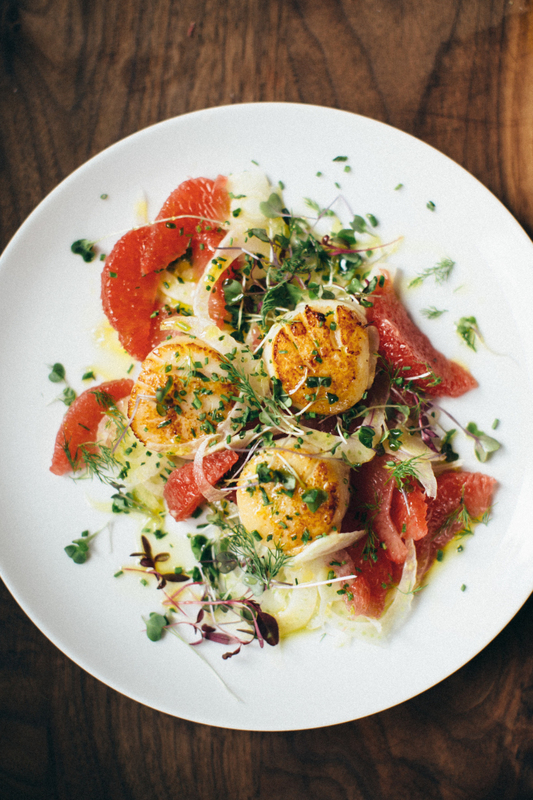 Set the grapefruit on a cutting board and run your knife from top to bottom. When skin and pith is removed, cut out the fruit between the fibrous membrane. Set aside. In a medium saucepan, heat butter and olive oil over medium-high heat until melted. Pat the scallops with a paper towel to remove excess liquid. Place scallop flat side down in the pan and sear for 2 minutes. Flip and sear on the opposite side for another 2 minutes. While the scallops cook, use a spoon and drizzle bubbling butter/oil mixture over the top of the scallops as they cook. 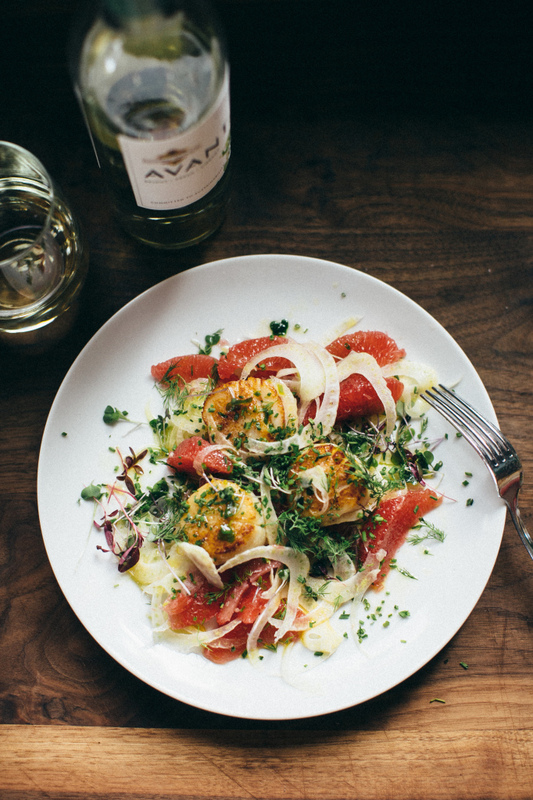 To serve, mix fennel and grapefruit together with a bit of olive oil, salt, and lemon juice. Top the salad with the scallops and then garnish with micro-greens, chives, and remaining lemon juice.